This design is free from the Classic Elite Yarns website. : Each strand of Sandpiper has five space-dyed shades, giving it highlights and shadows that occur organically as the eight plies interact. These mingling colors add depth and interest, but their similar values mean Sandpiper still shows texture and lace beautifully in this lovely Mesh Lace Scarf! 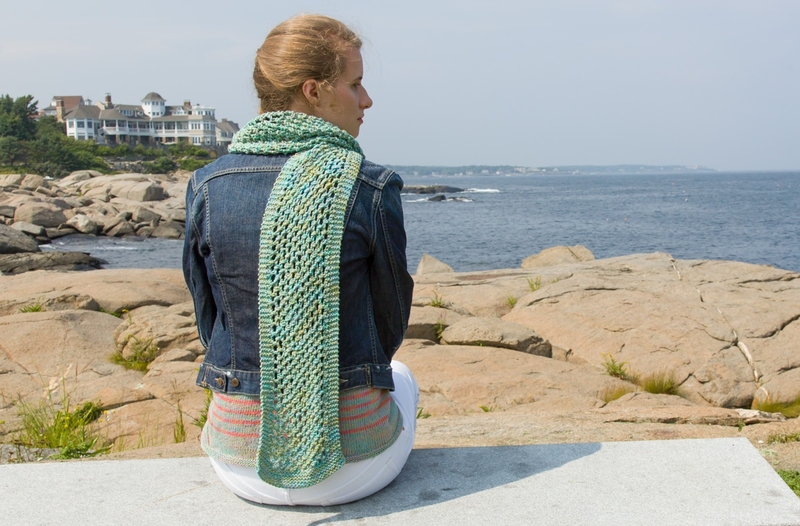 This design is free from the Classic Elite Yarns website. Remember to download or print the pattern by following the link provided on this page, as it will not be shipped with the yarn. Size US 6 straight needles or 24" circular needles (used as straight needles) are required but not included. Finished Size: 7" wide x 64 (72)" long. Gauge: 25 sts x 28 rows in Bird's Eye pattern over 4". Color shown is #1904 Aqua.